The most significant obstacle to finishing the war against the ISIS "is America's supposed friend and NATO ally, Turkey," wrote renowned American Journalist David Ignatius in an article. 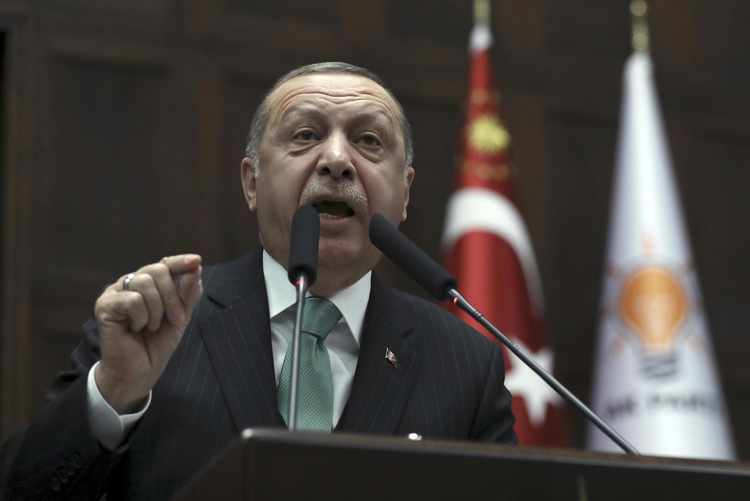 Ignatius quoted a U.S. senior administration official saying that the State Department's goal is "getting to yes" with Turkish resident Recep Tayyip Erdogan. "To that end, the U.S. has crafted a tentative package meant to appease the Turks by offering them a buffer zone in the Kurdish enclave of Afrin, joint Turkish-American patrols of the Manbij region —where Erdogan has threatened an "Ottoman slap" if U.S. troops don't leave — and gradual dilution of U.S. ties with the Kurdish-led militia that Erdogan despises." Ignatius wrote. The U.S. Secretary of State Rex Tillerson spent more than three hours with the Turkish strongman on Thursday evening; it was reported that he attempted to appease the enraged Turkish president. "To coax agreement, U.S. emissaries have prepared what amounts to a Venn diagram, showing how closely American and Turkish interests overlap in the region." wrote the veteran newsman, "Certainly, American and Turkish interests should converge; but if so, why does Turkey imprison American citizens, accuse Washington of fomenting a coup, and violate U.S. sanctions against Iran?" Appeasing Erdogan may be mission impossible speculates Ignatius: "Meeting Turkish demands would mean abandoning the Syrian Democratic Forces, which did the fighting and dying against ISIS. Even if the U.S. were ready to take that amoral act in the name of realpolitik, the result would be more chaos in Syria, not less. "